In these remaining weeks of winter, I have repeatedly found myself dreaming of the day when spring will come and I can dress like a gypsy and not be bundled up in so many layers that I resemble the Michelin Man. My icon numero uno for this particular warm weather style is the goddess of jet set bohemianism, Talitha Getty. She was so incredibly fabulous and gorgeous that I can’t help but fall in lust with all of her looks! I love her mix of traditional Moroccan styles with fab Brit-mod details. 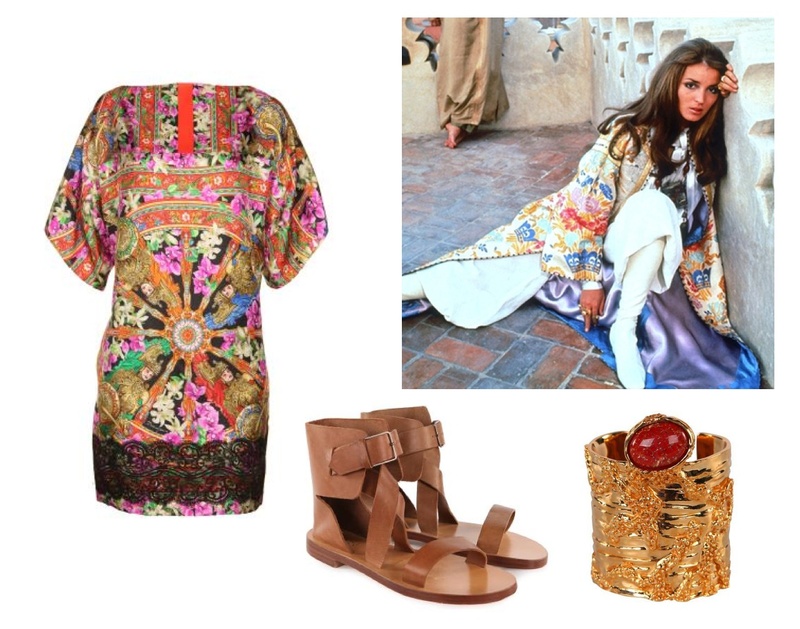 I went over to Cruise Fashion and selected my favorite pieces to get the Talitha Getty look of my dreams. To start my look, I'd wear this silk tunic with lace detail -- the bright colors and kaleidoscopic pattern are so Talitha-inspired. I would pair a luxe statement accessory, like this cuff bangle with red glass accent, with stacks of textured bracelets and tons of rings, necklaces and beads that I would pretend that I just purchased in a Moroccan street market so that I looked like a splendidly hippie dream child. With an attention-grabbing look like this, it's best to keep the rest of the accessories simple, so I'd finish the look off with a cross-body bag and a pair of classic, comfy (but still super chic!) sandals like these and some smoky eye makeup to look like a jet-setting model-socialite-VIP and voilà -- totally Talitha! I love Talitha!! Please do more of these :) Can you do Anita next? 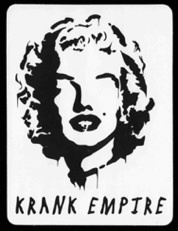 Ok so this may be a weird question, but can I use some of your collages from your earlier posts to put on my bedroom wall? You don't have to say yes I just wanted to ask. Anon #2 -- Talitha is the best, yes I would love to do more of these! Any Anita look in particular?